The standard Hubbert curve, plotting crude oil production of a region over time. World energy consumption, 1970-2025. Source: International Energy Outlook 2004. The mitigation of peak oil is the attempt to delay the date and minimize the social and economic effects of peak oil by reducing the consumption of and reliance on petroleum. By reducing petroleum consumption, mitigation efforts seek to favorably change the shape of the Hubbert curve, which is the graph of real oil production over time predicted by Hubbert peak theory. 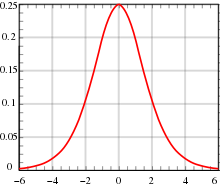 The peak of this curve is known as peak oil, and by changing the shape of the curve, the timing of the peak in oil production is affected. An analysis by the author of the Hirsch report showed that while the shape of the oil production curve can be affected by mitigation efforts, mitigation efforts are also affected by the shape of Hubbert curve. For the most part, mitigation involves fuel conservation, and the use of alternative and renewable energy sources. The development of unconventional oil resources can extend the supply of petroleum, but does not reduce consumption. Historically, world oil consumption data show that mitigation efforts during the 1973 and 1979 oil shocks lowered oil consumption, while general recessions since the 1970s have had no effect on curbing the oil consumption until 2007. In the United States, oil consumption declines in reaction to high prices. Key questions for mitigation are the viability of methods, the roles of government and private sector and how early these solutions are implemented. The responses to such questions and steps taken towards mitigation may determine whether or not the lifestyle of a society can be maintained, and may affect the population capacity of the planet. The most effective method of mitigating peak oil is to use renewable or alternative energy sources in place of petroleum. Nuclear power, considered by some to be a viable alternative source, can be substituted for petroleum in some cases. China is preparing for the post-peak oil future by building pebble bed reactors configured to produce hydrogen fuel from the electrolysis of water. The use of nuclear power is often a highly contentious issue because of questions of the future availability of fuel and the dangerous nature of nuclear waste. Some current research projects are focused on neutron-free fusion power, in which hydrogen and boron are heated to over 1 billion degrees, though technical and economic barriers still exist. In its October 2009 peak oil report, the Government-supported UK Energy Research Centre warned of the risk that 'rising oil prices will encourage the rapid development of carbon-intensive alternatives which will make it difficult or impossible to prevent dangerous climate change and stated that 'early investment in low-carbon alternatives to conventional oil is of considerable importance' in avoiding this scenario. Iceland was the first country to suggest transitioning to 100% renewable energy, using hydrogen for vehicles and its fishing fleet, in 1998, but the actual progress has been very limited. Because most oil is consumed for transportation most mitigation discussions revolve around transportation issues. While there is some interchangeability, the alternative energy sources available tend to depend on whether the fuel is being used in static or mobile applications. The use of biofuels, which are fuels derived from recently dead biological material, reduces dependence on petroleum and enhances energy security. Biofuels also play significant roles in the "food vs fuel" debate, mitigation of oil prices, and energy balance and efficiency. Ethanol is a biofuel produced from crops high in sugar (e.g., sugar cane, sweet sorghum) or starch, (corn/maize). Biofuels can also be produced from plants that contain high amounts of vegetable oil, such as oil palm, soybean, algae, switchgrass, or jatropha. These oils can be burned directly in certain designs of diesel engines, or they can be chemically processed to produce fuels such as biodiesel. Wood and its byproducts can also be converted into biofuels such as woodgas, methanol or ethanol fuel. It is also possible to make cellulosic ethanol from non-edible plant parts, but this can be difficult to accomplish economically. Biofuels are most commonly used in vehicles, and in heating homes, and cooking. Biofuel industries are expanding in Europe, Asia and the Americas. Several firms have successfully created petroleum products in the lab using either solid catalysts or genetically modified microorganisms. As of July, 2008, such firms are producing petroleum products in very small quantities, but hope to increase production over the next few years. The substitution of oil with other fossil fuels is theoretically relatively easy when static installations are concerned, as in the case for electricity generation. Reserves of coal are substantial, and the technology to use it is well established. Increasing the use of coal, however, would lead to higher carbon emissions which is likely to be politically unacceptable in many countries due to the implications of global warming, although carbon capture and storage may provide a solution. Natural gas is another alternative, and combined cycle power generation using natural gas is the cleanest source of power available using fossil fuels, producing about 30% less carbon dioxide than burning petroleum and about 45% less than burning coal. The major difficulty in the use of natural gas is transportation and storage because of its low density. Natural gas pipelines are economical, but are impractical across oceans. Due to its high energy density and ease of handling, oil has a unique role as a transportation fuel. There are, however, a number of possible alternatives. Among the biofuels the use of bioethanol and biodiesel is already established to some extent in some countries. The use of hydrogen fuel is another alternative under development in various countries, alongside, hydrogen vehicles though hydrogen is actually an energy storage medium, not a primary energy source, and consequently the use of a non-petroleum source would be required to extract the hydrogen for use. Though hydrogen is currently outperformed in terms of cost and efficiency by battery powered vehicles, there are applications where it would come in useful. Short haul ferries and very cold climates are two examples. Hydrogen fuel cells are about a third as efficient as batteries and double the efficiency of gasoline vehicles. Electric vehicles powered by batteries are another alternative, and these have the advantage of having the highest well-to-wheels efficiency rate of any energy pathway and thus would allow much greater numbers of vehicles than any other methods. In addition, even if the electricity was sourced from coal-fired power plants, two advantages would remain: first it is cheaper to sequester carbon from a few thousand smokestacks than it is to retrofit hundreds of millions of vehicles, and second encouraging the use of electric vehicles allows a further pathway for scaling up of renewable energy sources. Currently the cost of batteries capable powering electric vehicles for a 300-mile (480 km) range (comparable to the range of many gasoline vehicles) is prohibitively high, though producing batteries for plug-in hybrids with a 40-mile (64 km) range could be done with current technology and current pricing models within the reach of the average person. A plug-in hybrid with a 40-mile (64 km) range would have the advantage that it uses no gasoline or diesel at all for the first 40 miles (a distance covering 80% of all vehicle commutes). Unfortunately there are currently no production models of plug-in hybrids or alternative fuel vehicles (other than flex fuel) available from big manufacturers, though both Toyota and General Motors have promised versions around 2010. Fully electric vehicles are available from Tesla Motors for their high priced sports car and also a small city vehicle from Th!nk in Norway, in limited production runs in Norway and the UK. The Airbus A380 flew on alternative fuel for the first time on 1 February 2008. Boeing also plans to use alternative fuel on the 747. Because some biofuels such as ethanol contains less energy, more "tankstops" might be necessary for such planes. The US Air Force is currently in the process of certifying its entire fleet to run on a 50/50 blend of synthetic fuel derived from the Fischer-Tropsch process and JP-8 jet fuel. When alternative fuels are not available, the development of more energy efficient vehicles becomes an important mitigant. Some ways of decreasing the oil used in transportation include increasing the use of bicycles, public transport, carpooling, electric vehicles, and diesel and hybrid vehicles with higher fuel efficiency. More comprehensive mitigations include better land use planning through smart growth to reduce the need for private transportation, increased capacity and use of mass transit, vanpooling and carpooling, bus rapid transit, telecommuting, and human-powered transport from current levels. Rationing and driving bans are also forms of reducing private transportation. The higher oil prices of 2007 and 2008 caused United States drivers to begin driving less in 2007 and to a much greater extent in the first three months of 2008. In order to deal with potential problems from peak oil, Colin Campbell has proposed the Rimini protocol, a plan which among other things would require countries to balance oil consumption with their current production. Unconventional oil is oil produced or extracted using techniques other than the traditional oil well method from sources such as oil sands, oil shale and the conversion of coal or natural gas to liquid hydrocarbons through processes such as Fischer-Tropsch synthesis. Currently, unconventional oil production is less efficient and has a larger environmental impact relative to conventional oil production. Compared to conventional oil, much more energy is required to extract oil from non-conventional sources, so increasing costs and carbon emissions. Technology, such as using steam injection in oil sands deposits, is being developed to increase the efficiency of unconventional oil production. Synthetic fuel, created via coal liquefaction, requires no engine modifications for use in standard automobiles. As a byproduct of oil embargoes during Apartheid in South Africa, Sasol, using the Fischer-Tropsch process, developed relatively low-cost coal-based fuel. Currently, about 30% of South Africa's transport-fuel (mostly diesel) is produced from coal. With crude-oil prices above US$40 per barrel, this process is now cost-effective. One government which is moving forward with mitigation plans is the emirate of Abu Dhabi. The United Arab Emirates economy minister stated in 2007 that the UAE do not believe that relying on oil revenues is sustainable, and so are moving to diversify their economies. Besides allotting land for solar power plants and partnering with Massachusetts Institute of Technology to build an alternative energy research institute, a new city is being constructed 17 kilometres (11 mi) east-southeast of the city of Abu Dhabi, which will rely entirely on solar energy, with a sustainable, zero-carbon, zero-waste ecology. Known as Masdar (Arabic for source), the initiative is headed by the Abu Dhabi Future Energy Company (ADFEC) The project is estimated to take some 10 years to complete, with the first phase complete and habitable in 2009, and a goal of housing 50,000 people and 1,500 businesses. The city is intended to cover 6 square kilometres (1,500 acres), with no point further than 200 m from a solar powered personal rapid transit link, housing energy, science and technology communities, commercial areas, a university, and the headquarters of the Future Energy Company. By relying on sustainable energy sources, keeping cars out of the city, returning to older architectural conventions (such as reducing air conditioning costs with large tents and narrow spaces between buildings), using sewage to produce energy and create soil, taking advantage of all recycling opportunities (including for and from construction), and reusing gray water, Masdar is designed to be a city which will consume no oil. Another major factor in petroleum demand is the widespread use of petroleum products such as plastic. These could be partially replaced by bioplastics, which are derived from renewable plant feedstocks such as vegetable oil, corn starch, hemp plants, pea starch, or microbiota. They are used either as a direct replacement for traditional plastics or as blends with traditional plastics. The most common end use market is for packaging materials. Japan has also been a pioneer in bioplastics, incorporating them into electronics and automobiles. Part of the current debate revolves around energy policy, and whether to shift funding to increasing energy conservation, fuel efficiency, or other energy sources like solar, wind, and nuclear power. At congressional peak oil hearings, Rep. Tom Udall argued that while rising oil prices would encourage alternatives (both on the supply and demand side), the costs and impacts of other issues involved with petroleum based personal transportation (such as pollution, the economic effects of global warming, security threats caused by sending vast amounts of money to the Middle East, and the costs of road maintenance) should also be taken into account. "Because the price of oil is artificially low, significant private investment in alternative technologies that provide a long-term payback does not exist. Until oil and its alternatives compete in a fair market, new technologies will not thrive." In 2005, the Congressional Budget Office suggested that, "the federal government could more effectively increase the efficiency of the nation's automotive fleet by raising gasoline taxes, imposing user fees on the purchase of low-mileage-per-gallon vehicles, or both." This would give automakers more incentive to research alternative fuel technology and increased efficiency (through lighter vehicles, better aerodynamics, and less wasted energy). Hans-Holger Rogner, a section head at the IAEA, warned in 1997 that the level of incentive required for market driven research and development will actually rise. Because production costs are not expected to decrease and because of the continued emphasis companies give to short-term profits, "a regional breakdown for 11 world regions indicates that neither hydrocarbon resource availability nor costs are likely to become forces that automatically would help wean the global energy system from the use of fossil fuel during the next century." In the US, transportation by car is guided more by the government than by an invisible hand. Roads and the interstate highway system were built by local, state and federal governments and paid for by income taxes, property taxes, fuel taxes, and tolls. The Strategic Petroleum Reserve is designed to offset market imbalances. Municipal parking is frequently subsidized. Emission standards regulate pollution by cars. US fuel economy standards exist but are not high enough to have effect. There is also a gas guzzler tax of limited scope. The United States offers tax credits for certain vehicles and these frequently are hybrids or compressed natural gas cars (see Energy Policy Act of 2005). In order to be profitable, many alternatives to oil require the price of oil to remain above some level. Investors in these alternatives must gamble with the limited data on oil reserves available. This imperfect information can lead to a market failure caused by a move by nature. One explanation for this is Hotelling's rule for non-renewable resources. Even with perfect information the price of oil correlates with spare capacity and spare capacity does not warn of a peak. For example, in the early 1960s (10 years before oil production peaked in the United States), there was enough spare capacity in US production that Hubbert's predicted peak of 1966-1971 was "at the very least completely unrealistic to most people," preventing the necessary steps being taken to mitigate the situation. The absence of accurate information about spare production capacity exacerbates the current situation. Lester Brown believes this problem might be solved by the government establishing a price floor for oil. A tax shift raising gas taxes is the same idea. Opponents of such a price floor argue that the markets would distrust the government's ability to keep the policy when oil prices are low. In 2007, a Pentagon Report, "Space-Based Solar Power: An Opportunity for Strategic Security" proposed Space-Based Solar Power as a macro solution to peak oil and fossil fuel depletion. Recently a proposal for US leadership in SBSP won the SECDEF D3 competition. Engineer Keith Henson discussed the scale in "Dollar a Gallon Gasoline". Mike Snead has recently assessed prospects for US fossil fuels and SSP in "US fossil fuel energy insecurity and space solar power". Snead and Henso recently put out a video. According to the Hirsch report prepared for the U.S. Department of Energy in 2005, a global decline in oil production would have serious social and economic implications without due preparation. Initially, an unmitigated peak in oil production would manifest itself as rapidly escalating prices and a worldwide energy crisis. While past oil shortages stemmed from a temporary insufficiency of supply, crossing Hubbert's Peak means that the production of oil continues to decline, so demand must be reduced to meet supply. If alternatives or conservation (orderly demand destruction) are not forthcoming, then disorderly demand destruction will occur, with the possible effect that the many products and services produced with oil become scarcer, leading to lower living standards. Air travel, using roughly 7% of world oil consumption, would be one of the affected services. The energy density of hydrocarbons and the power density of a jet engine are so necessary for aviation that hydrocarbon fuels are nearly impossible to replace with electricity, to an extent beyond any other common mode of transport. Shipping costs are particularly relevant to a country like Japan that has greater food miles. US indications of economic volatility have manifested themselves in the largest increase in inflation rates in 15 years (Sept. 2005), due mostly to higher energy costs. Significant oil producing countries will have a national purchasing advantage over similar countries with no oil to sell. This can result in larger militaries for oil producers or inflation of the price of whatever commodities they purchase. Saudi Arabia purchased US$40 billion worth of arms from the US between 1990 and 2000. The United States averaged 464 US gallons (1,760 L) of gas per person in 2004. Therefore, increased gasoline cost will likely make gas reducing alternatives increasingly necessary and common for lower income US residents. Those who feel that much more drastic imminent social and cultural changes will occur from oil shortages are known as doomers. ^ Robert L. Hirsch. "The Shape of World Oil Peaking: Learning From Experience" (PDF). ^ Jim Bartis, RAND Corporation (2006). "Unconventional Liquid Fuels Overview. 2006 Boston World Oil Conference" (PDF). Association for the Study of Peak Oil & Gas - USA. Archived from the original (PDF) on 2011-07-21. Retrieved 2007-06-28. ^ a b Frank Langfitt (March 5, 2008). "Americans Using Less Gasoline". NPR. ^ a b Marianne Lavelle (March 4, 2008). "Oil Demand Is Dropping, but Prices Aren't". U.S. News & World Report. ^ "President Discusses Advanced Energy Initiative In Milwaukee". ^ "Proposition 87" (PDF). Archived from the original (PDF) on 2007-06-14. ^ Eric Lerner. "Stop the Suppression of an Alternative Energy Source". Progressive Engineer. ^ "SmartWay Grow & Go". ^ Pu, Yunqiao; Dongcheng Zhang; Preet M. Singh; Arthur J. Ragauskas (December 19, 2007). "The new forestry biofuels sector". Biofuels, Bioproducts and Biorefining (BioFPR). 2 (1): 58–73. doi:10.1002/bbb.48. ^ Biogasoline: The Greener Alternative to Ethanol? ^ "Natural Gas and the Environment". Archived from the original on 2009-05-03. ^ "California Hydrogen Activities". California Hydrogen Highway. California Environmental Protection Agency. November 26, 2012. Archived from the original on 2013-01-23. Retrieved 9 September 2013. ^ "SECAF certifies synthetic fuel blends for B-52H". Archived from the original on 2016-03-03. ^ a b "Saving Oil Executive Summary" (PDF). International Energy Agency. ^ "Principal Means of Transportation to Work". Bureau of Transportation Statistics. ^ "About Tar Sands". Oil Shale and Tar Sands Leasing Programmatic EIS. ^ Patrick Barta (2006-08-17). "South Africa has a way to make oil from coal". Pittsburgh Post-Gazette. ^ Ivan Watson (November 15, 2007). "Black Gold Finances the Dreams for Abu Dhabi". NPR's All Things Considered. ^ "The Masdar Initiative". Archived from the original on 2008-02-24. Retrieved 2008-02-20. ^ "Work starts on Gulf 'green city'". BBC. 2008-02-10. ^ a b Joe Palca (May 6, 2008). "Abu Dhabi Aims to Build First Carbon-Neutral City". NPR's Morning Edition. ^ Dilworth, Dianna (2007-08-01). "Zero Carbon; Zero Waste in Abu Dhabi". BusinessWeek. Retrieved 2008-02-10. ^ Chua, H.; Yu, P. H. F.; Ma, C. K. (1999). "Accumulation of Biopolymers in Activated Sludge Biomass". Applied Biochemistry and Biotechnology. 78 (1–3): 389–399. doi:10.1385/ABAB:78:1-3:389. ^ "Peak Oil Hearing: Udall Testimony". United States House of Representatives. 2005-12-07. ^ "Energy". Congressional Budget Office. February 2005. Archived from the original on April 26, 2007. ^ Hans-Holger Rogner (November 1997). "An Assessment of World Hydrocarbon Resources" (PDF). Annu. Rev. Energy Environ. 22: 217–262. doi:10.1146/annurev.energy.22.1.217. ^ "WEO 2006 identifies under-investment in new energy supply as a real risk". International Energy Agency. 2006-11-07. ^ Keith Bawolek (March 2004). "What Drives Parking Investments?". CIRE Magazine. ^ Alfred J. Cavallo (December 2004). "Hubbert's Petroleum Production Model: An Evaluation and Implications for World Oil Production Forecasts" (PDF). Natural Resources Research. 13 (4). ^ Lester R. Brown (2006-05-11). "Let's Raise Gas Taxes and Lower Income Taxes". Earth Policy Institute. Archived from the original on 2007-12-13. ^ Jerry Taylor and Peter Van Doren (2006-06-01). "An Argument against Oil Price Minimums". Cato Institute. ^ "How many air-miles are left in the world's fuel tank?". ^ Donald F. Fournier and Eileen T. Westervelt (September 2005). "Energy Trends and Their Implications for U.S. Army Installations" (PDF). Archived from the original (PDF) on 2007-06-10. ^ Jeff Rubin and Benjamin Tal (2005-10-19). "Soaring Oil Prices Will Make The World Rounder" (PDF). CIBC World Markets. Archived from the original (PDF) on 2007-04-15. ^ "Peak Oil and Japan's Food Dependence". ^ "FRBSF Economic Letter 2006-24 'Oil Prices and the U.S. Trade Deficit'". Federal Reserve Bank of San Francisco. 2006-09-22. ^ Jeffrey Bogen. "Import price rise in 2005 due to continued high energy prices" (PDF). US Bureau of Labor Statistics. ^ "Brad Setser's Web Log". Archived from the original on 2007-06-14. ^ "Saudi Arabia". Federation of American Scientists. Archived from the original on 2010-11-11. ^ "U.S. Gasoline Per Capita Use by State 2004". California Energy Commission. Archived from the original on 2007-06-29. ^ Jenna Orkin. "Say You Survive Die-Off: Then What?". Culturechange.org.